The ExamFear Team is in Bangalore. You can invite the ExamFear Team to your school for a Talk/session/ Workshop during your school Annual Fest or any other cultural fest. We would be happy to be there. 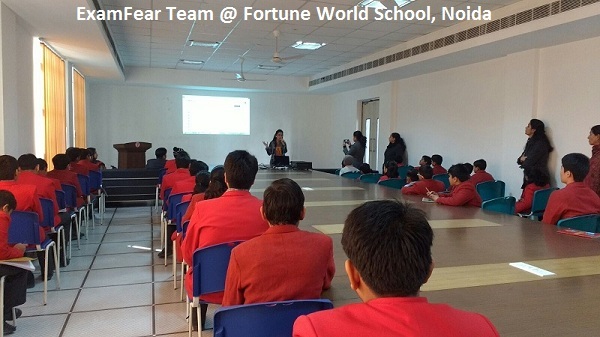 The ExamFear Team was at Fortune World School , Noida (UP). The ExamFear Team was at DAV public School , Dhanbad (JHARKHAND) recently. Do you want to be the next school to invite ExamFear Team? We, at ExamFear conduct Intra /Interschool Quiz competitions. We do have goodies & certificates for the winners & participants.